You close it and we'll announce it to the neighbors! 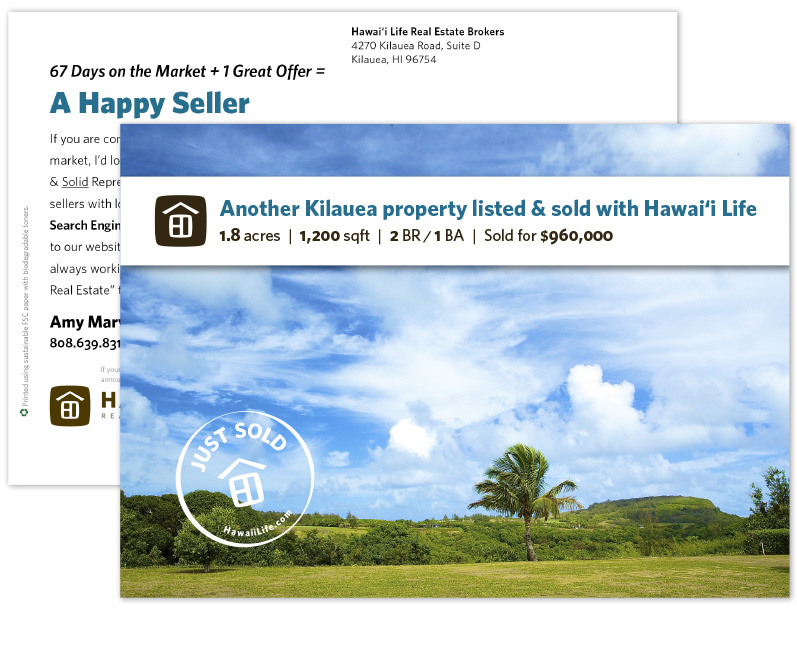 Would you like to have a "Just Sold" postcard automatically created and sent out after every closing without having to order individually through Smarketing? We will create the postcard, prepare the address list and send them out for you. All you need to do is choose what size postcard and quantity and we'll do the rest. Once the postcard is created, we'll send you a draft for your approval/edits. Contact Aafke Zietz to enroll in this service. To make it simple, the cost will be deducted from your commission at closing (or you can pay by CC if you prefer). Small 6" x 4.25" Large 9" x 6"
Please note: You may enroll in the service as automatic upon every closing or by individual closing requests.